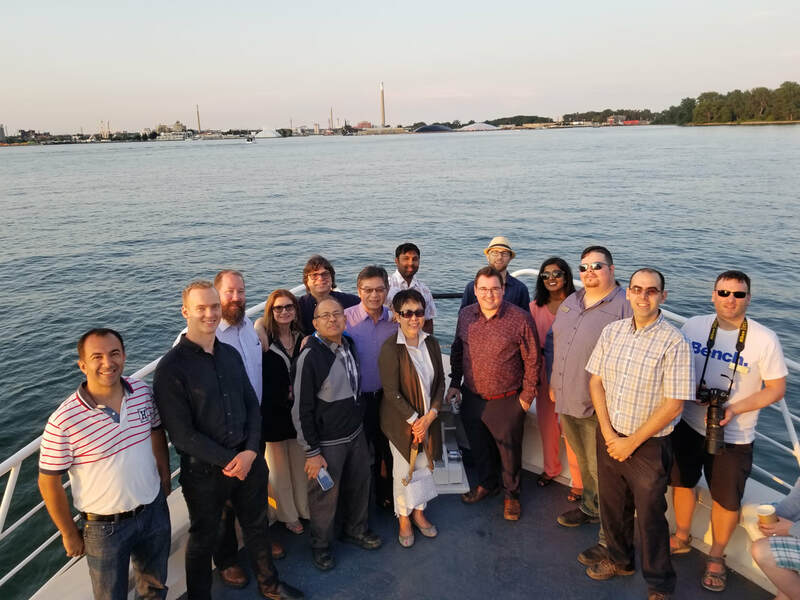 The Toronto Central Chapter Executive would like to invite you to attend the 2019 Annual Chapter Meeting (ACM). The ACM is a great opportunity for you to meet the current executive, field any questions or concerns you may have, offer suggestions, get involved and network with other members. We will recap previous events as well as inform you of what is planned for the future. Elections for chapter positions will also be held at this meeting. If you wish to be considered for one of the positions, it would be preferred to know ahead of time so your name can be added to the list. Your chapter executive is made up of members who volunteer a few hours of their time in sharing their interest, enthusiasm and expertise in building, directing and maintaining a strong association and local chapter. Fresh ideas are constantly needed to maintain the demands of an active chapter. As a member you are urged to become actively involved in your professional organization and we ask that you give this opportunity serious consideration. ​The F.J. Horgan WTP Plant is the newest and second largest water treatment plant in the City of Toronto. It is a direct filtration plant that has a capacity of up to 800 ML/d. The plant incorporates ozonation at the head of the plant for primary disinfection and taste and odour control. Due to its high elevation on the Scarborough bluffs, the plant has a unique design including a low lift structure that is 10 ½ stories below ground level (or 38 m deep). As such, most of the plant’s infrastructure is buried. 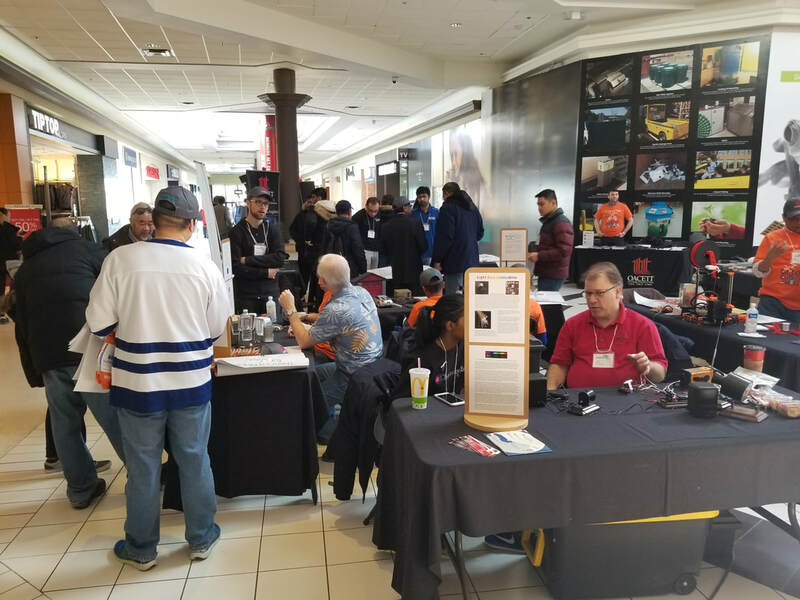 Toronto Central Chapter is once again teaming up with the Toronto East Chapter to organize our own outreach event; the NEM Hands-on Science Fair. This year’s event will be held at Eglinton Square Shopping Centre. This has been an annual joint event organized by both Toronto Central and Toronto East Chapter Executives. 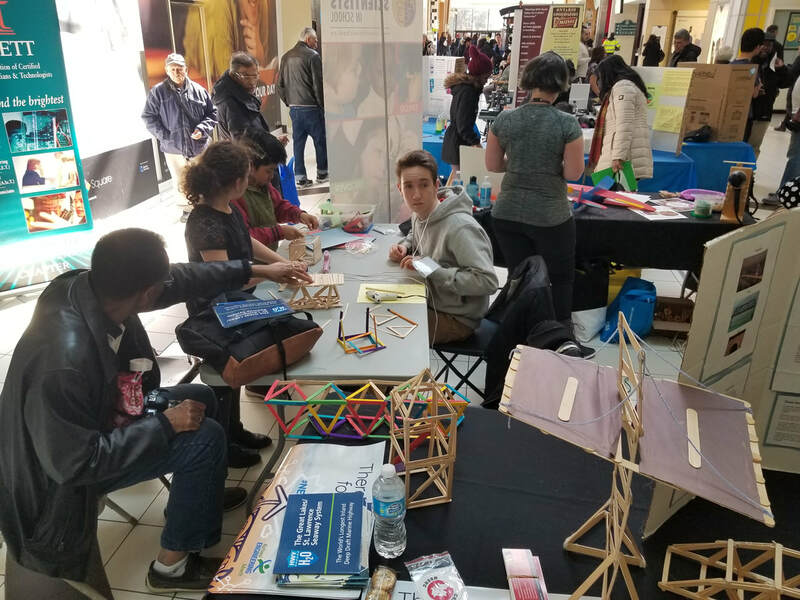 We will have many tables setup in the mall corridor promoting science, engineering and technology with exhibits covering a variety of topics and disciplines generally geared towards young students. We will have student project displays, industry displays, educational displays as well as our own OACETT promotional table. 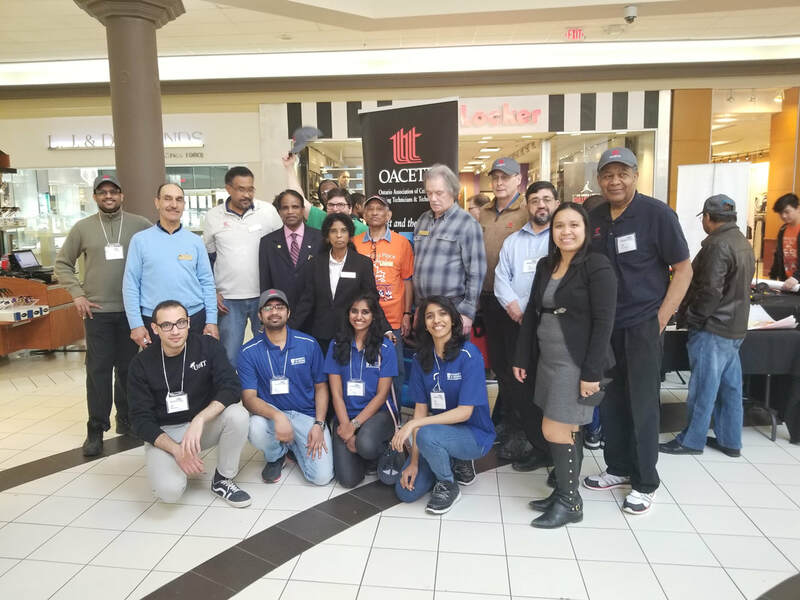 Individuals of all ages welcome to peruse the displays and mingle with your local OACETT representatives and volunteers. A team lead by ERA Architects is engaging in Passive House low-energy retrofit of a 17 Storey Social Housing apartment tower in Hamilton. The Ken Soble Tower transformation project will convert this asset, built in 1967, into state-of-the-art housing. 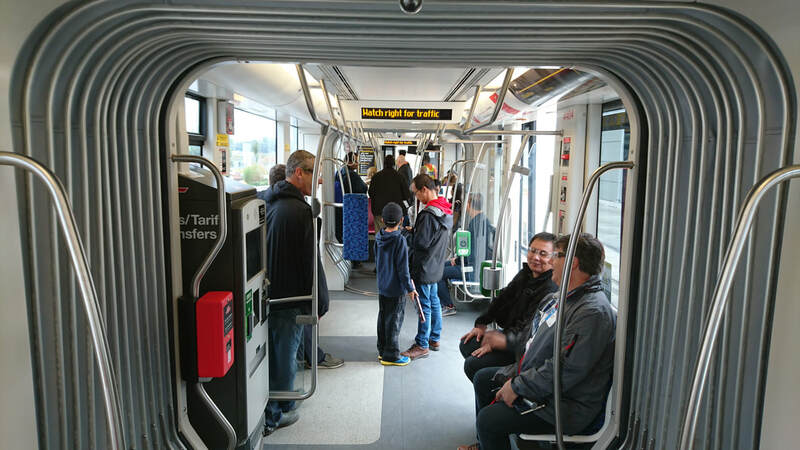 The first of its kind in North America, this project will bring together innovations in ultra-low energy retrofit, financing, and community benefit. This presentation will outline the process, innovations and challenges of the design process of the multi-disciplinary consultant team, inclusive of structural, mechanical, electrical and Passive House consultants. Graeme Stewart OAA AAA MRAIC CIP RPP CAHP is a Toronto based architect and urban planner. Graeme is a principal with ERA Architects, where he has contributed to many of the Toronto region’s leading urban design, cultural planning, and revitalization projects. Graeme is also a founding director of the Centre for Urban Growth and Renewal (CUG+R), an interdisciplinary urban research organization founded in 2009. Working with NGOs, academic, government and community partners, CUG+R supports policy and action toward more equitable and resilient urban regions. The key focus of this work is Tower Renewal, a multisectoral initiative focused on the low-carbon future of the many thousand mid-century tower blocks found throughout urban Canada. Graeme is a member of the Toronto Community Housing Design Review Panel and is a regular lecturer in Universities in Ontario and abroad. Graeme is the co-editor of Concrete Toronto: A Guidebook to Concrete Architecture from the Fifties to the Seventies, and in 2014 was recipient of the Jane Jacobs Prize for his ongoing research and design work related to Tower Renewal. The Toronto Central Executive would like to invite you to an evening of learning and engagement on Thursday October 25 @ 6:30-8pm in the Program Room – Toronto Public Library Eglinton Square where two soft skills speakers both employed in Human Resources will be offering their wisdom and experience to all attendees. The theme of the evening will be focused around “Landing that Job”. Our two speakers have an extensive background in the field of human resources and would like to offer their knowledge to help you perform better in your search for a career. Krystal Abotossaway is a well sought-after speaker and expert on Indigenous engagement. As Lead Strategic Diversity Advisor and Partner at TD Bank, she is the touchstone for bringing the voice and the talent of diversity and Indigenous cultures to the bank’s Diversity Talent Strategy and Community Relations programs. Her passion and leadership for advancing more agile diversity engagement strategies has contributed to TD's ongoing recognition as one of Canada’s leaders in embracing diversity -- including being recognized as one of Canada's Best Diversity Employers and achieving a gold level certification with the Canadian Council for Aboriginal Businesses Progressive Aboriginal Relations (PAR) Accreditation Program. Krystal Abotossaway is from Aundeck Omni-Kaning First Nations and Chippewas of Rama First Nations. She is an urban Ojibwe Anishinaabe Kwe. Gabriella Fasciani, CHRL has over 27 years of Human Resources experience. She has worked in a variety of industries both profit and not for profit providing HR related services. Most recently as an Independent Consultant providing HR solutions to small and medium sized organizations. Gabriella is also a part-time instructor at Seneca College. She is on the Board of the West Toronto Chapter of HRPA, was most recently on the Board of Directors for Downsview Services for Seniors now Lumacare and continues to be a member of the Community Outreach and Fundraising Committee. Gabriella is a graduate of York University. 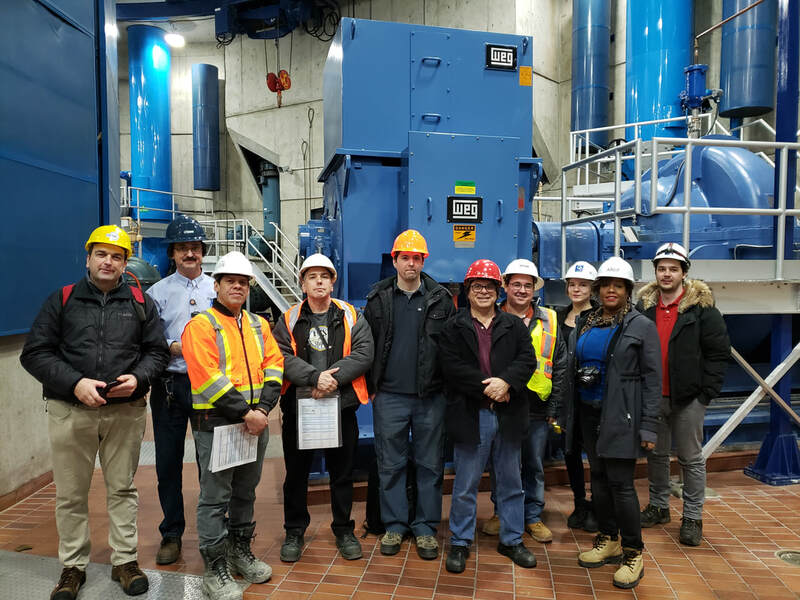 The Toronto Central Chapter Executive would like to invite you to tour the Ashbridges Bay Wastewater Treatment Plant at the corner of Leslie St. and Lake Shore Blvd. E. on Wednesday October 10th, 2018 at 6:00pm. 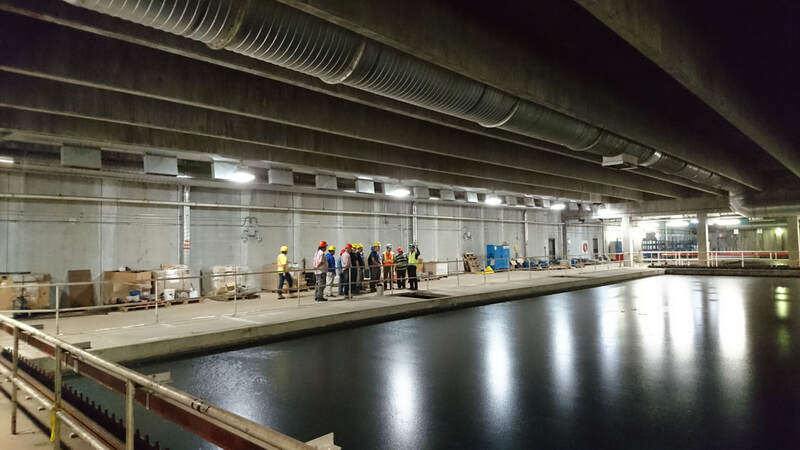 The Ashbridges Bay Wastewater Treatment Plant is the City of Toronto’s largest of four wastewater treatment plants and is one of Canada’s largest and oldest wastewater treatment plants. This facility has a rated capacity of 818,000 cubic metres of wastewater per day, is located on 94 hectare property and serves approximately 1.5 million people. 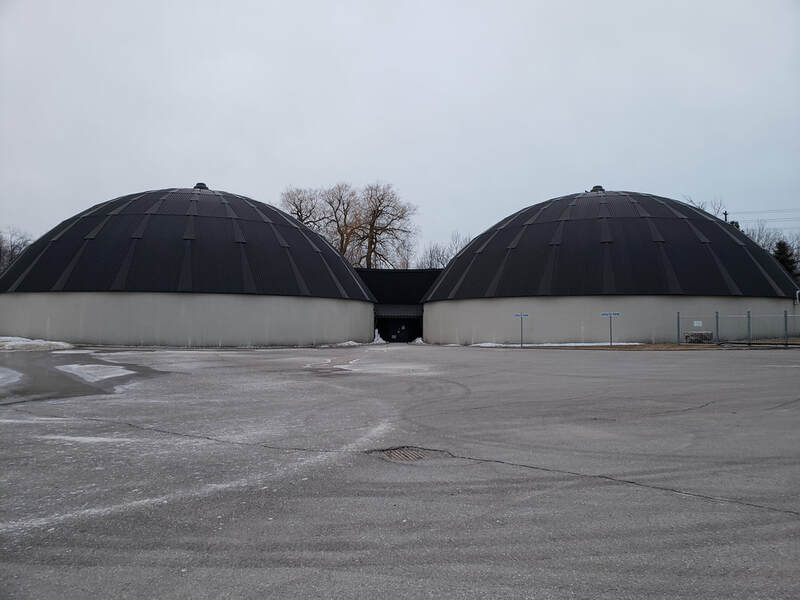 The tour will consist of an overview of the plant treatment process, a walking tour of this overall process and a detailed tour of one of the screening buildings. Please note that tour size is limited so we ask that you please register if you plan to attend and let us know if your plans change. 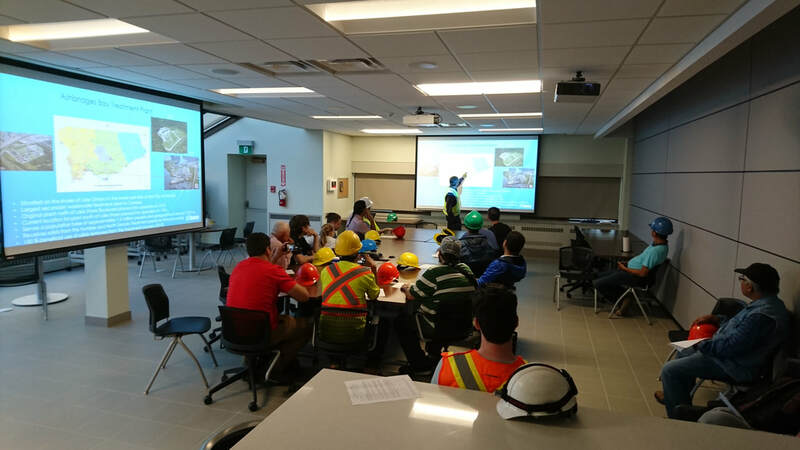 Safety is paramount for all OACETT tours and this tour is no exception. All attendees will be required to sign a City of Toronto health and safety waiver upon arrival and are required to wear personal protective equipment (PPE). All attendees must wear closed toe shoes and are very strongly encouraged to wear safety shoes. The plant has limited quantities of clip-on protective shoe covers for those without safety shoes. The plant will provide hard hats and any other PPE required. Please dress for the weather and be prepared for a fair bit of walking indoors and outdoors. Please report to the security gatehouse to sign in when you arrive. For great networking and great prizes……TEE-OFF WITH US ….. at this annual networking and fundraising tournament, held at Centennial Park Golf Course in the Etobicoke community of Toronto. Proceeds To: Carole and George Fletcher Foundation. Location: Centennial Park Golf Course – 550 Centennial Park Blvd., Etobicoke, M9C 5R5. Registration Time: 10 a.m. – 11:15 a.m. Cost: $65 per person – includes green fee and casual dinner. (See registration form for details). Cart and clubs rentals, if required, are paid at the event, directly to the Pro Shop. The Toronto Region (Central, East, West) would like to invite you, your family, friends and/or colleagues to join us for a Networking Dinner Cruise on the Miss Toronto on Sunday July 29, 2018 at 6pm. This cruise provides a unique way to experience Toronto’s scenic harbour. Tickets will be on sale for $65 plus service fee (total: $70.23 per ticket). Each ticket includes a private OACETT boat cruise, light buffet dinner, music (live DJ) and a cash bar will also be available. The cruise will be aboard the Miss Toronto which includes an indoor dining space with large picture windows as well as outdoor canopied and uncovered areas. 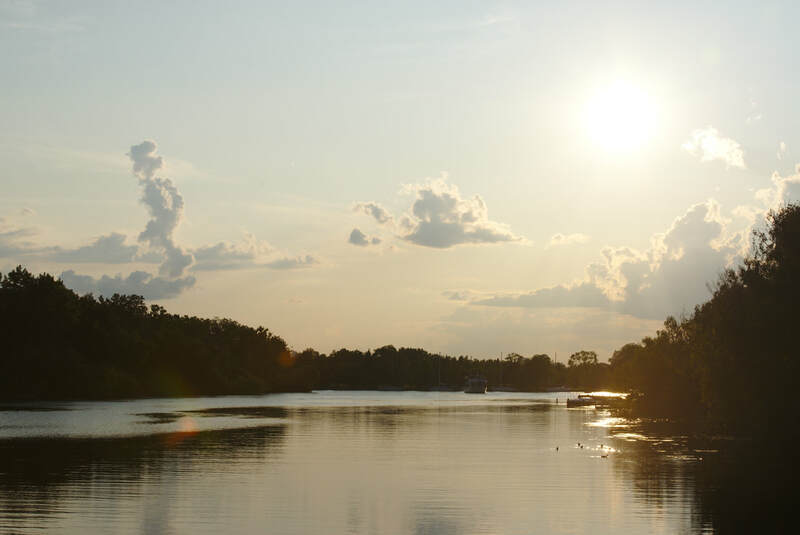 Come out and enjoy summer on the lake with your fellow OACETT members. Meet your executives and make some lasting connections! 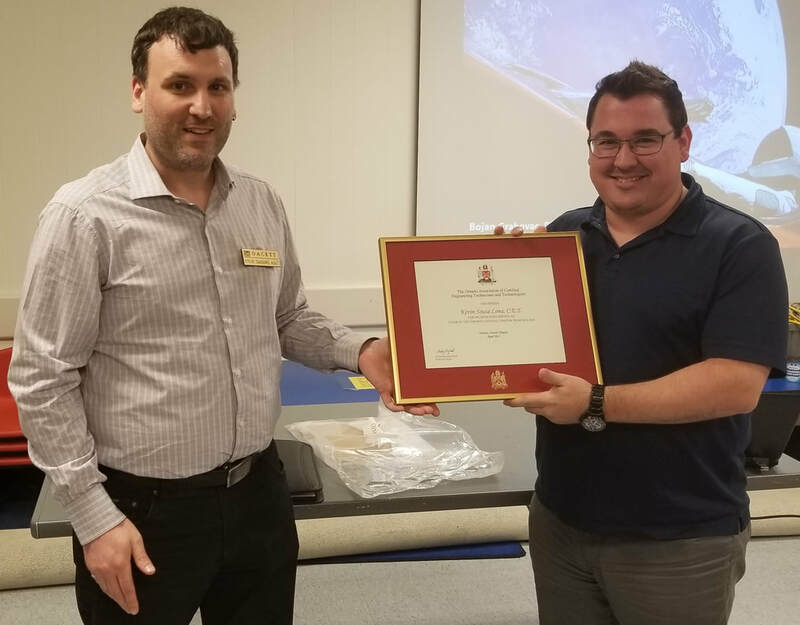 OACETT and the Toronto Central Chapter Executive presented Kevin Lima with a certificate of dedicated service for his past volunteering as chapter chair. We thank Kevin for his past efforts as well as his continued volunteering with our chapter. 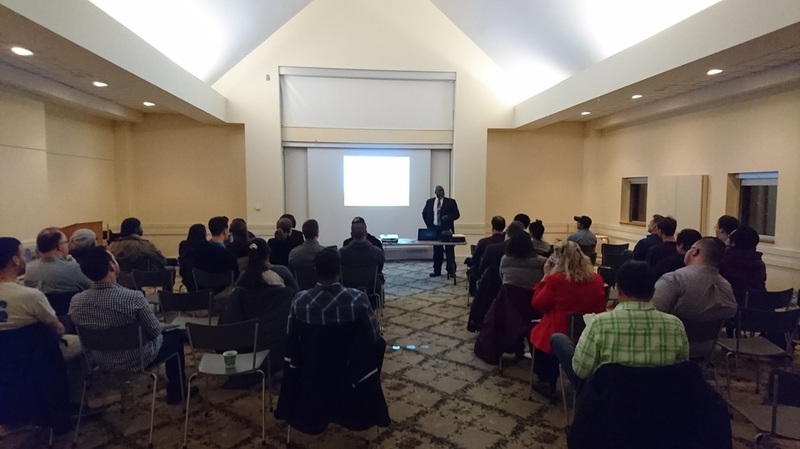 The Toronto Central Chapter Executive held a Utilizing Data Analytics and Machine Learning Speaker Event on Monday June 11th, 2018. Our presenter for this event was Bojan Grabovac, B.Eng, MBA. Mr. Grabovac is currently the Supervisor of the Customer Experience and Reliability team at Toronto Hydro. He holds a B.Eng. in electrical engineering from Ryerson University and an MBA from Rotman School of Management at the University of Toronto. Before joining Toronto Hydro, Bojan worked at Bombardier Aerospace on the electrical system design for the Global business jet family of aircraft. 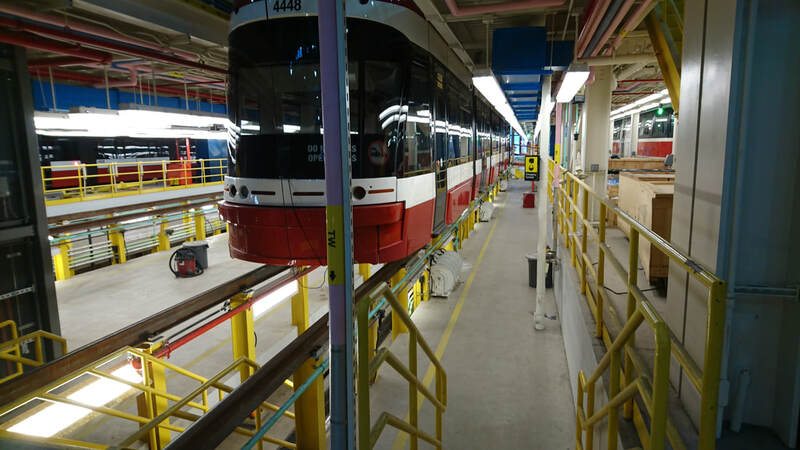 At Toronto Hydro, prior to the current role, he managed a team in System Planning where he focused on asset management of the infrastructure in Toronto’s urban core. The role also required reviews and approvals of customer connection and the development of regulatory evidence and justifications for regulatory submissions. His current mandates are to understand the latest technologies and technical trends and, through innovation and foresight, drive improvements in reliability reporting and enhance the relationship Toronto Hydro has with its customers. This event had good attendance and there were many questions answered by Mr. Bojan. Thank you to all who attended and especially Mr. Bojan for sharing his time and expertise with us. Ladies of Toronto! It's that time of year again. The Toronto East/Central/West Chapters are uniting once again to provide you with a panel of strong women to talk about issues faced by Women-In-Technology. The panel will be an intimate discussion with inspiring women who have paved their way to become leaders, sharing their advice, both personal and professional, on achieving career success. We recommend attendees come early to network prior to the discussion. Instagram and Tweet your experience using the hashtag #OACETTwomen. We'll be closing with a Q&A session, giving you the opportunity to ask our panellists questions on leadership, empowerment, breaking stereotypes and much more. This is also a great place to network with other like-minded creatives and innovators and celebrate women leading in technology. 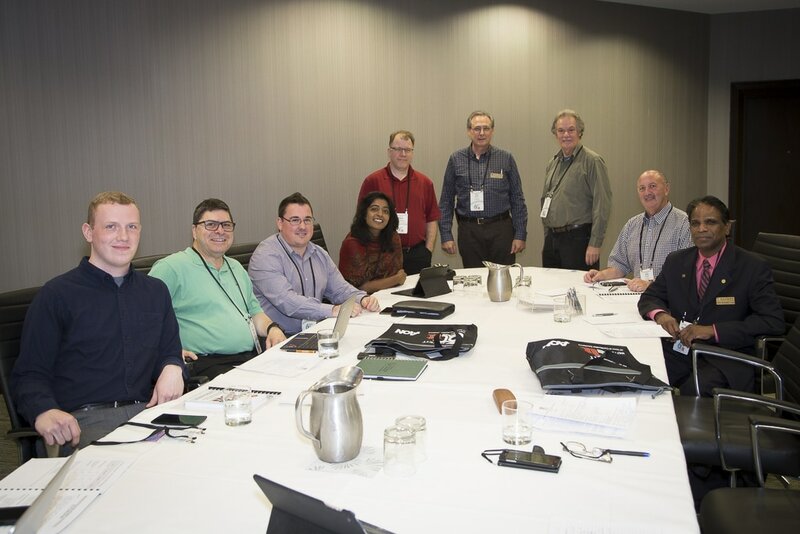 The Toronto Central Chapter Executive would like to invite you to attend the 2018 Annual Chapter Meeting (ACM). The ACM is a great opportunity for you to meet the current executive, field any questions or concerns you may have, offer suggestions, get involved and network with other members. We will recap previous events as well as inform you of what is planned for the future. Elections for chapter positions will also be held at this meeting. If you wish to be considered for one of the positions, it would be preferred to know ahead of time so your name can be added to the list. 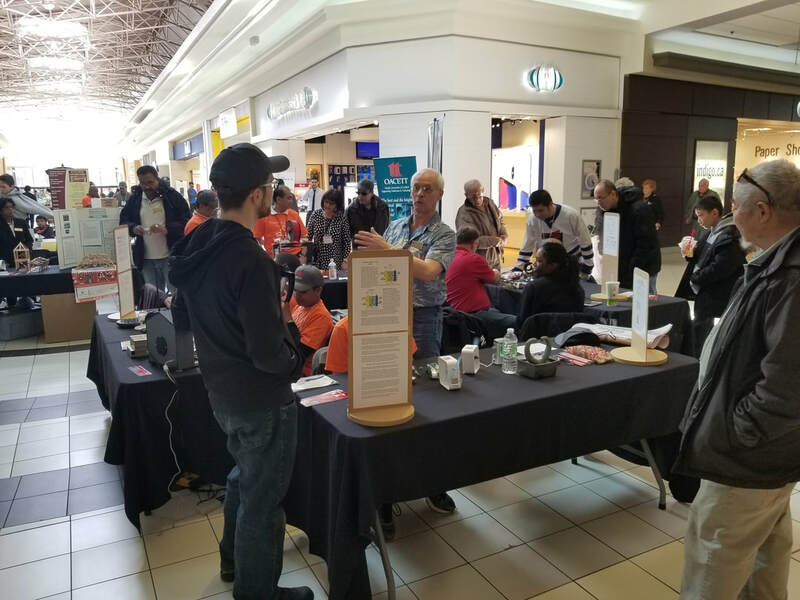 Toronto Central Chapter Executive is once again teaming up with the Toronto East Chapter Executive to organize our own outreach event; the NEM Hands-on Science Fair. This year’s event will be held at Eglinton Square Shopping Centre. This has been an annual joint event organized by both Chapter Executives. 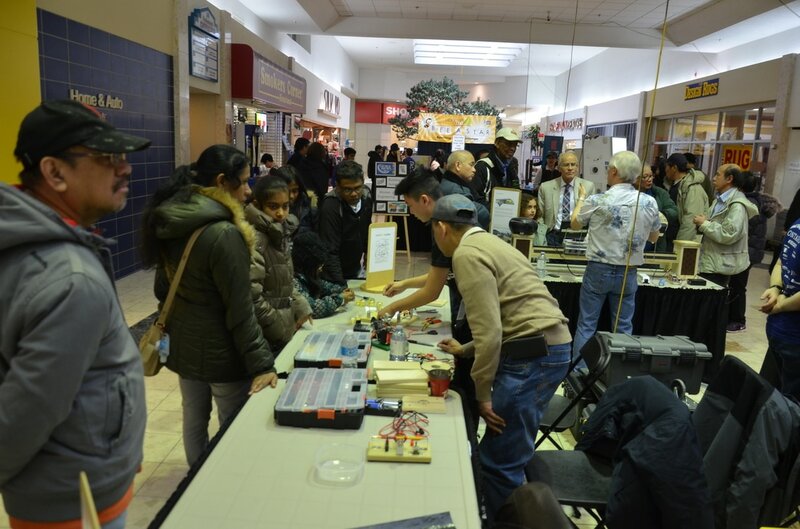 We will have many tables setup in the mall corridor promoting science, engineering and technology with exhibits covering a variety of topics and disciplines generally geared towards young students. 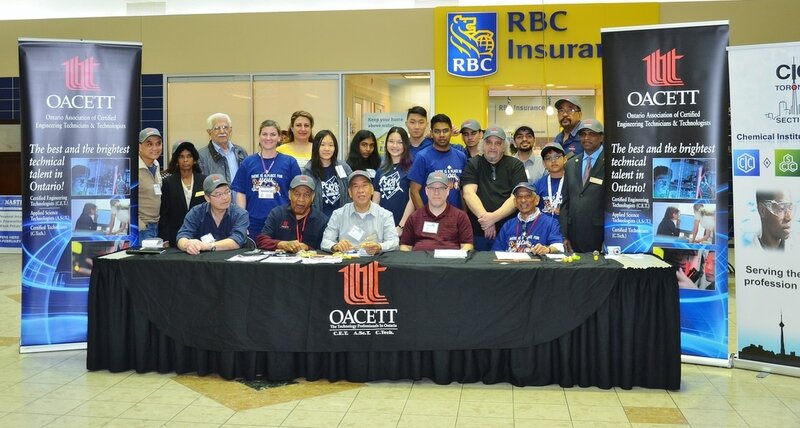 We will have student project displays, industry displays, educational displays as well as our own OACETT promotional table. The Toronto Central Chapter Executive would like to invite you to attend our Conservation Demand Management Speaker Event on Wednesday November 29th, 2017 at 6:00pm. Our presenter for this event will be Michael Marchant, P.Eng. Michael has been active in the energy management field for over 20 years where he has worked in a variety of roles from energy simulation to project implementation. 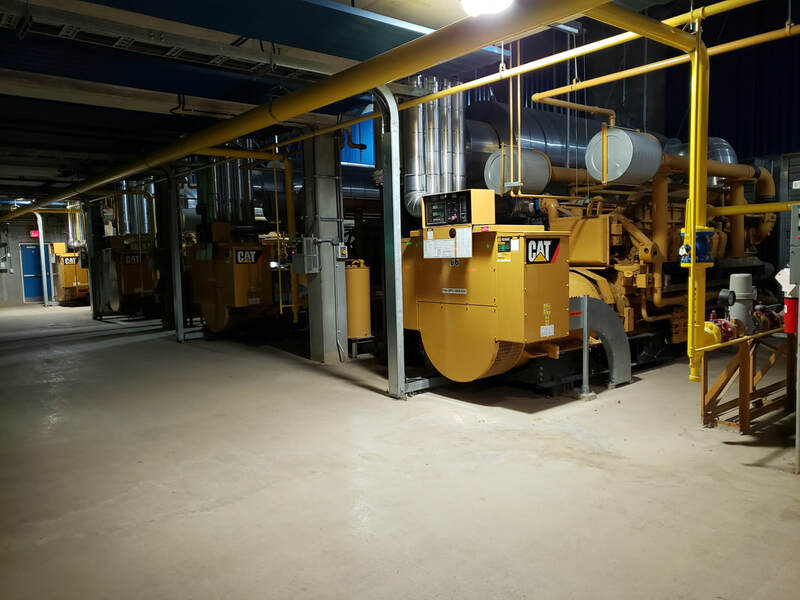 His familiarity with various industries, the equipment they use and how they use it, allows him and his team to work with in-house facility managers to quickly zero in on energy savings opportunities. The Conservation First Framework extended the delivery of electricity conservation programs for a six year term from 2015 to 2020 with the goal of provincially saving 7TWh of electricity consumption. To achieve these results Toronto Hydro offers a number of provincial and local (i.e. Toronto) programs to achieve these goals. Michael’s presentation will highlight the achievements to data, framework highlights and some of the innovative things Toronto Hydro has done to assist customers in saving electricity costs. 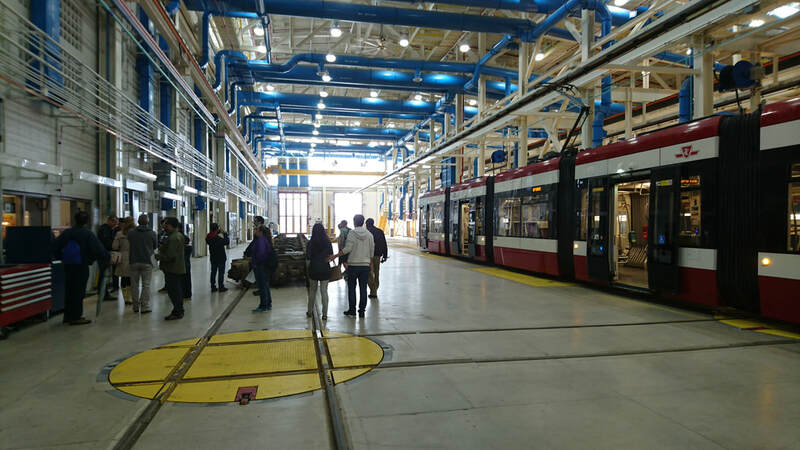 The Toronto Central Chapter Executive would like to invite you to tour the TTC's newest streetcar carhouse - the state-of-the-art Leslie Barns at the corner of Leslie St. and Lake Shore Blvd. E. on Saturday October 14th, 2017. OACETT - Women in Technology East, West and Central Chapters have the pleasure to invite you to an event that will give you the opportunity to connect with women working in the field. Share your story with us. Let the WIT community know who and/or what influenced you to chose engineering technology as a career path. What do you like the most about your job and what motivates you in your professional development. Join us at Jack Astor's Yonge & Dundas this September 18th at 6:30 pm to share some food and grow your professional network in an event organized by women for women. Expand your resources, build relationships and get advice from other professional women. Members are encourage to bring friends and colleagues to make new contacts and learn more about OACETT. If you have business cards, please feel free to bring them! There will be raffle prizes. To celebrate OACETT's 60th year, the Toronto Region would like to invite you, your family, friends and/or colleagues to join us for a Networking Dinner Cruise with Mariposa Cruises on Sunday September 10, 2017 at 6pm. This cruise provides a unique way to experience Toronto’s scenic harbour. Tickets will be on sale for $50 plus service fee (total: $53.60 per ticket) and you can bring up to three additional guests! Ticket includes a private OACETT boat cruise, light buffet dinner, drinks, music and a cash bar will also be available. The cruise will be aboard the Oriole which includes an indoor dining space with large picture windows as well as outdoor canopied and uncovered areas. Come out and enjoy the last bit of summer with your fellow OACETT members. Meet your executives and make some lasting connections! Feel free to bring your business cards! To register, please visit the Eventbrite link below. The Toronto Central Chapter Executive would like to invite you to attend the 10th Annual OACETT Toronto Region Technology Tee-off Golf Tournament on Saturday August 19th, 2017. OACETT Members with your colleagues, friends and family are welcome to join us for a round of golf followed by a casual dinner (friends and family are limited to foursome, including OACETT members). Tournament format will be Best Ball for all levels of players. A perfect chance for those who have never played before and have always wanted to try a round of golf! We’re all here to have fun! Dinner will be a choice of bbq sausage, halal chicken, hamburger or veggie burger, with a salad, dessert bar and a non-alcoholic drink. This event is a great opportunity for beginners and golfers of all levels to network, sharpen your golf skills and have fun while supporting a great charity. The Toronto Central Chapter Executive would like to invite you to attend our Construction Delay and Impact Claims Speaker Event on Tuesday June 20th, 2017 at 6:30pm. Our presenter for this event will be Steven Karst, MBA, Construction Claims & Advisory Lead at Jensen Hughes. Steven Karst is an experienced construction professional with over 20 years in the industry within residential, commercial and industrial environments. Steven is a specialist with determining simple costs or complicated quantum while mitigating construction claims risk, using his experience and training to the fullest benefit of the client. He has provided contract management and cost control on multimillion dollar programs, provided expert opinions for construction claims for world class projects and has worked as an entrepreneur in the construction trades swinging a hammer and getting his hands dirty. With his breadth of knowledge, practical know how and commercial acumen, Steven is confident to deliver the best of expectations. Discuss the top 5 causes of a construction claim. Discuss and view examples of contractual entitlement of a claim. Methods used to calculate office overheads as they are related to claims. Discuss best practices to mitigate construction claims risk. Location: Westin Trillium House, Blue Mountain, 220 Gord Canning Drive, Blue Mountain, Ontario. 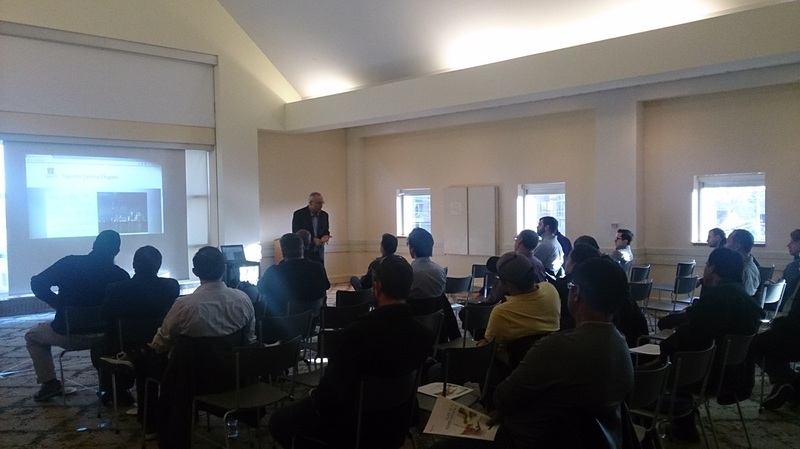 The Toronto Central Chapter Executive would like to invite you to attend our Distributed Generation and Energy Storage Speakers Event on Thursday May 25th, 2017 at 6:30pm. Our presenter for this event will be Gary Thompson, C.E.T., P.Eng., C.Eng., MBA, MSc, MIET. Mr. Thompson is an accomplished Engineering Professional and Community Facilitator, with over 25 years working with utilities and industry. He is recognized as a leader, strategic thinker, highly skilled asset manager, smart grid innovator and electrical engineer. Currently at Toronto Hydro, he leads a team of professionals that plan and enable the connection of all sources of electricity energy including renewable generation, energy storage and large industrial infrastructure, providing analytical and technical studies for the Toronto Hydro Electricity System and its customers. As an Educator he has developed and taught courses in Power Systems, Electric Machines, Renewable Energy and Business at various academic institutions. He currently is an Honorary Fellow at the Center for Urban Energy, Faculty of Engineering, Ryerson University An active community volunteer for over 30 years, he spends his time as a facilitator of community relationships, promoting cooperation and understanding across various racial and religious communities. His skill set includes significant experience in the area of Board Governance and Operations. He has served on various Boards and Committees within the areas of education, municipal government, law enforcement and social services. The Toronto Central Chapter Executive would like to invite you to attend the 2017 Annual Chapter Meeting (ACM). The ACM is a great opportunity for you to meet the current executive, field any questions or concerns you may have, offer suggestions, get involved and network with other members. We will recap previous events as well as inform you of what is planned for the future. Elections for chapter positions will also be held at this meeting. If you wish to be considered for one of the positions, it would be preferred to know ahead of time so your name can be added to the list. The Toronto Central Chapter Executive would like to invite you to attend our Mr. Radon Speakers Event on Wednesday April 5th, 2017 at 6:30pm. This event will include two speakers who will be speaking about the dangers of Radon gas, and methods to combat it. Radon Gas is a toxic, naturally occurring, odourless, colourless, invisible, radioactive noble gas that can affect any home. Radon is radioactive and causes lung cancer in humans. It comes out of the soil and rock and building materials in and around our homes. Radon Gas seeps into our basements through cracks, holes, pipes and other openings in our walls and floors. Elevated and high levels of radon exist all over Canada. 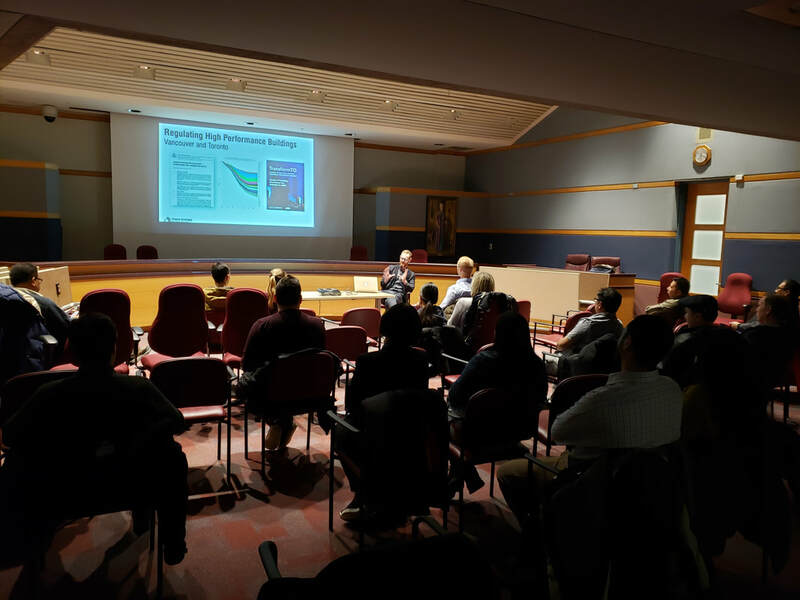 The first half of the presentation will be by Bob Wood from Mr. Radon, and he will cover the health effects of Radon gas, the Ontario Building code, and SB-9. The second half of the presentation will be presented by Bruce Decker, C.E.T., from Safetech Environmental, and covers the building science, health risks, action criteria, the basics of testing, and several examples of things they have seen done right, and things they have seen done poorly. The Toronto Central Chapter Executive would like to invite you to attend the TIFF Bell Lightbox Tour. Members and guests are invited to an exclusive behind the scenes tour of the TIFF Bell Lightbox facilities. Explore the architecture, history and functionality of this state-of-the-art building. TIFF Bell Lightbox opened in 2010 and is the headquarters for the Toronto International Film Festival. The facility is a five-storey structure that features five cinemas, two restaurants, major exhibitions and galleries, a gift shop, rooftop terrace, and learning studios. A technician will be on hand to answer questions and talk about the technical aspects of the facility. Ann Marie has over 18 years of leadership experience in business including banking, sales, marketing, and human resources. She has formed her own human resources consultancy which focused on providing organizational development, human resources, and management counsel to senior executives in a variety of leading Canadian companies. Currently Ann Marie is the Executive Director and CEO of the Mood Disorders Association of Ontario (MDAO). Lance is a retired Senior Municipal Administrator and graduate from Seneca College and Ryerson University. He has accumulated more than 30 years of progressively more responsible and challenging positions. Previous work experience includes Chief Building Official at the Town of Ajax and the Director of Investigation Services at the City of Toronto. Lance is also an accomplished Toastmaster and course facilitator and now focuses on giving back by serving on the board of directors of the Caribbean Philanthropic Council and Urban Arts. 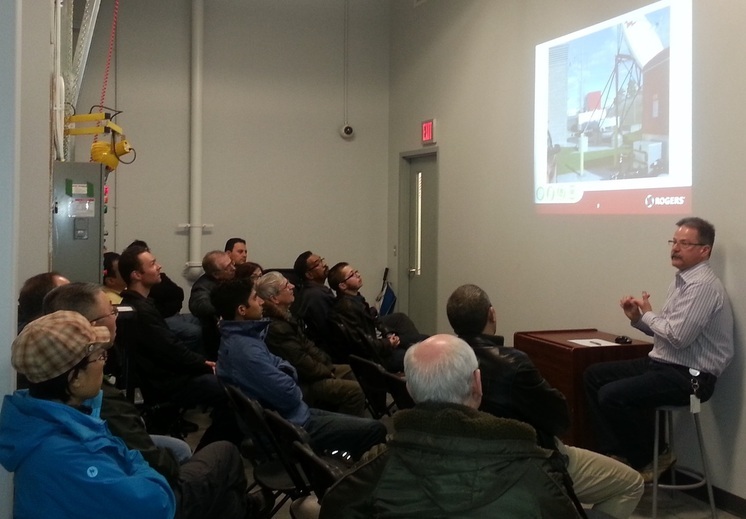 The Toronto Central Chapter Executive would like to invite you to attend the Cologix Data Centre Tour. 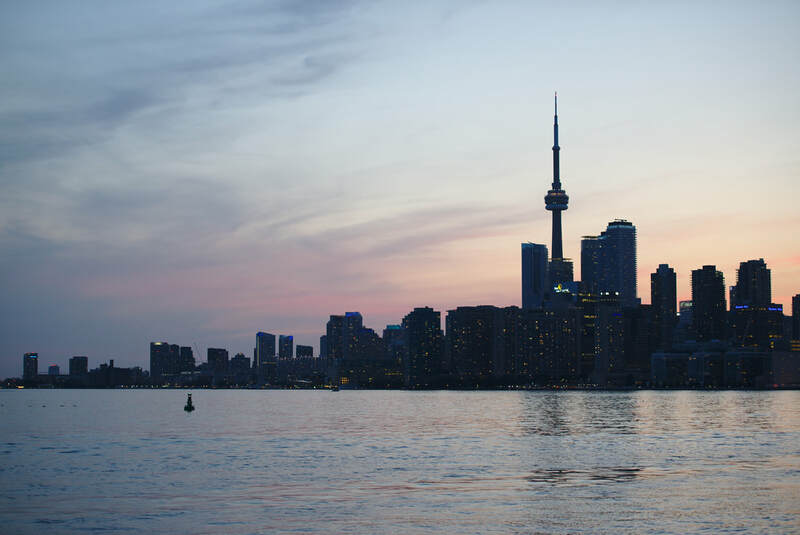 Cologix has a state-of-the-art data centre located in downtown Toronto built leveraging standards for concurrent maintainability for space, power, mechanical systems and security. Cologix, Inc. is a network neutral interconnection and data center company headquartered in Denver, Colorado that provides massively scalable interconnection services and secure, reliable colocation services in densely connected, strategically located facilities in Columbus, Dallas, Jacksonville, Lakeland, Minneapolis, Montreal, Northern New Jersey, Toronto and Vancouver. 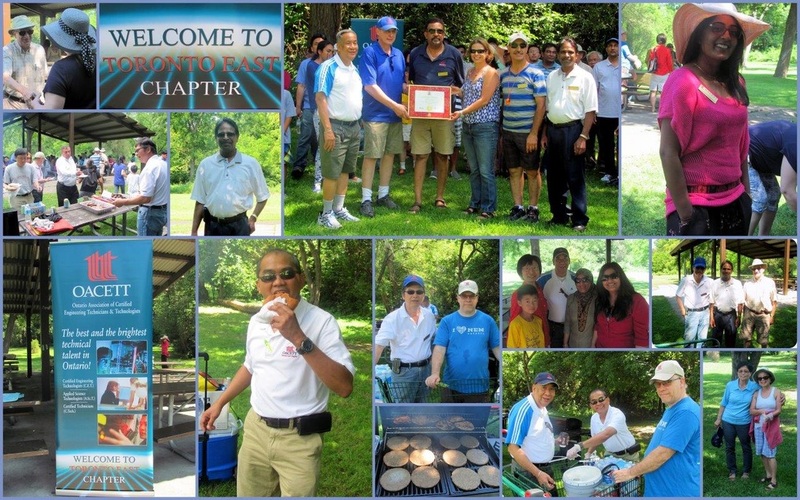 Members and their family are invited to attend the Toronto East and Toronto Central Chapter members’ annual picnic which will be held on August 14, 2016 at Thomson Park, Area “B” from 11:30am to 2:00pm. Come out, bring the family and meet your chapter executives. There will be networking opportunities and also opportunity to voice your opinion as to what you would like to see happen in your chapter. This is an excellent opportunity to meet other members, share ideas, have a BBQ lunch and have fun filled afternoon at the same time. Food to suit most tastes will be available including beef burgers, chicken burgers, veggie burgers, hot dogs, chicken dogs, halal food and salads. There will be organized games and prizes for children and lots of fun for everyone. Thomson Memorial Park is located at the north-east corner of Lawrence & Brimley in Scarborough. Food will be served starting at 12 noon and continue until supplies runs out. Please be early to avoid disappointment. We ask that you please confirm your attendance if you plan to join us. 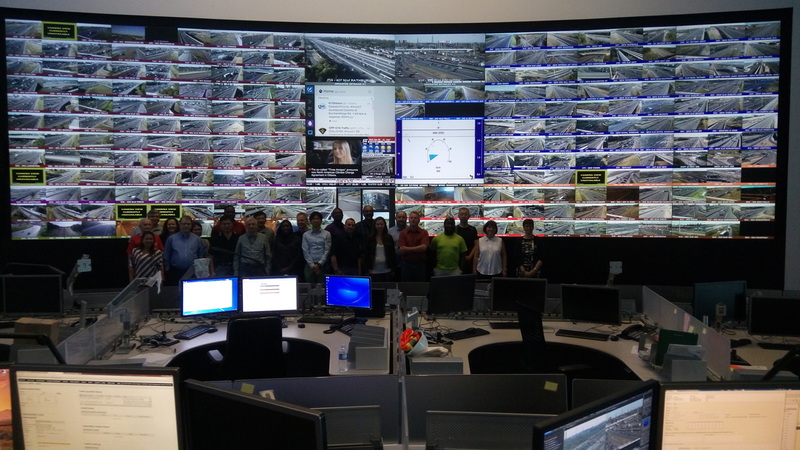 The Toronto Central Chapter Executive would like to invite you to attend the MTO COMPASS Traffic Operations Centre Tour. COMPASS is a high-tech Freeway Traffic Management System developed by the Ontario Ministry of Transportation (MTO) to respond to traffic congestion problems on urban freeways. This event will include a presentation and tour of the facility. 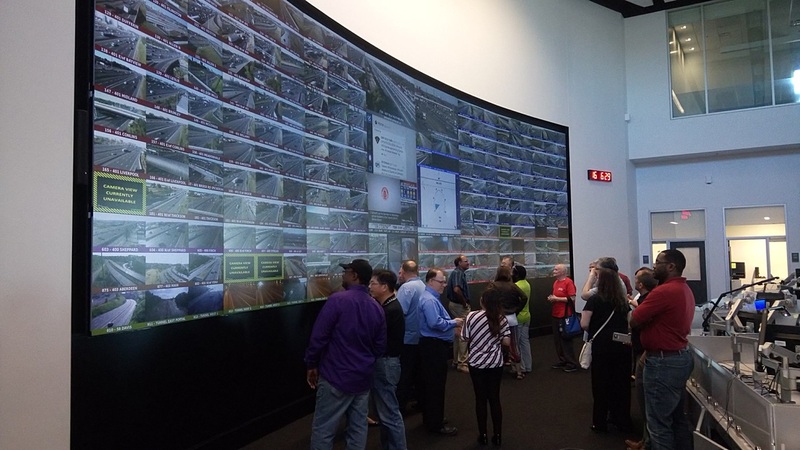 MTO staff will explain how the building functions and also how operations of the systems work together including how it was used during the Pan Am Games and also emergency situations as an example. A tour of the building will follow the presentation. Unfortunately, due to the sensitive nature of ongoing traffic management operations, children will not be permitted on this tour. Parking is available through the main gate, to the left. ​The Toronto Central Chapter Executive would like to invite you to attend a Licensed Engineering Technologist (L.E.T.) Information Session. For those who are not aware, the L.E.T. is a class of limited license that OACETT members can apply for through Professional Engineers Ontario (PEO). This licence would allow the individual to assume responsibility for engineering services within their defined scope. This licence came into effect on July 1, 2015. Lawrence Fogwill, the Manager of Registration at the Professional Engineers Ontario (PEO) will be presenting at this event. He will speak about the requirements and process of obtaining an L.E.T. limited licence. The presentation will be followed by a question and answer period. The Toronto Central Chapter Executive would like to invite you to attend the 2016 Annual Chapter Meeting (ACM). The ACM is a great opportunity for you to meet the current executive, field any questions or concerns you may have, offer suggestions, get involved and network with other members. We will recap previous events as well as inform you of what is planned for the future. Elections for chapter positions will also be held at this meeting. If you wish to be considered for one of the positions, it would be preferred to know ahead of time so your name can be added to the list. The return of the year end Dinner/Dance will is planned for November 14, 2015. There will be a DJ, door prizes and live entertainment. Note the date on your calendar! Further details to follow. The Continuing Professional Development (CPD) program will be a requirement for OACETT certified members starting January 2016. OACETT Council has approved mandatory Continuing Professional Development. From now on, over each three year cycle, members are to complete and document at least three professional development activities. This is a requirement to maintain certification. You need to be aware of and understand this! We had a great turn out at this event which was located at the The Assembly Hall in Etobicoke. Approximately 35 people attended the presentation by Barbara Chappell, Registrar and Director IETO. Details of the program, sample activities, compliance and audit information as well as the rationale behind the program were presented. Thanks for all that came out and participated in the discussion. This year we had a very successful golf tournament with 32 golfers attending. Thanks to all who helped with the event including our sponsors. This year we had hole sponsors and a record number of prizes. Proceeds from this years raffle were donated directly to the Carole and George Fletcher Foundation. 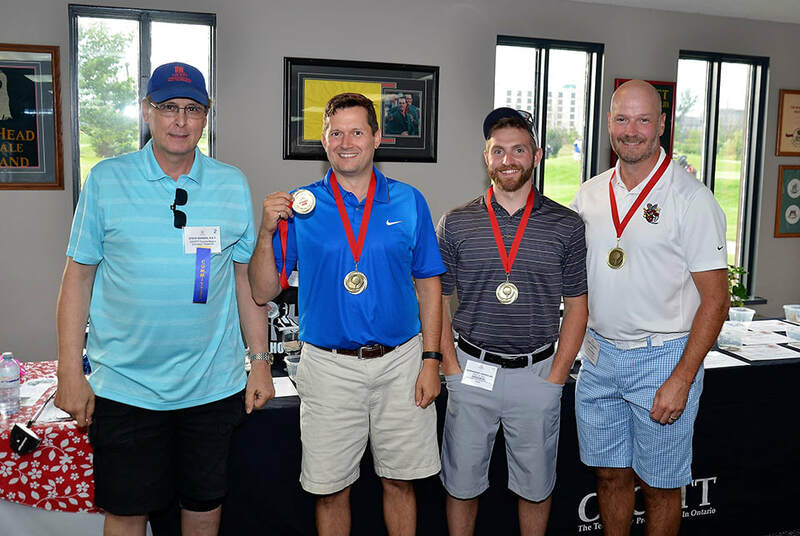 Thank you to OACETT President, Bob van den Berg, OACETT CEO David Thomson and OACETT VP of Services, Kim Pickett for attending this years tournament. This year's tournament was a great success and we look forward to seeing you all again next year. The Toronto Central Chapter executive would like to invite you to attend our Annual Chapter Meeting (ACM). This will be located at the Lily Garden Restaurant. The ACM is a great opportunity for you to meet the current executive, field any questions or concerns you may have, offer suggestions and get involved. Participation is the key to make a chapter vibrant and stay healthy. It is a great networking opportunity as well. We will recap all of the 2014/2015 activities and inform you of what is planned for the future. Elections will also be held mid-way through the meeting. If you wish to be considered for one of the positions, it would be preferred to know ahead of time so your name can be added to the list. Keep in mind that certain positions require you to be certified. Line Following Robotic Competition - A race between autonomous robots that follow a black track on a white background, a competition for any college students. See poster details. Come join the Durham OACETT Chapter's first ever Women in Technology (WIT) ‘meet n greet' for an evening of informal networking; a great opportunity to discuss challenges, trends and opportunities. Come meet your fellow professional colleagues from different organizations and sectors. We hope you all had a Happy Holiday season. We will be holding our first event of the year at the end of January. Join us to explore some of the wonders of the universe. Show Description: "Our moon affects the ocean tides, but moons do much more than that. Moons can modify the seasons, and can shape our view on habitability in the Universe. Come join us while we explore these celestial bodies and see how they influence life as we know it." Time permitting, we will tour the observatory. Registration is limited to 50 OACETT members. Members wishing to bring a guest may add their guest's name to a waiting list and any leftover seats after the cut off date will be allocated to them. 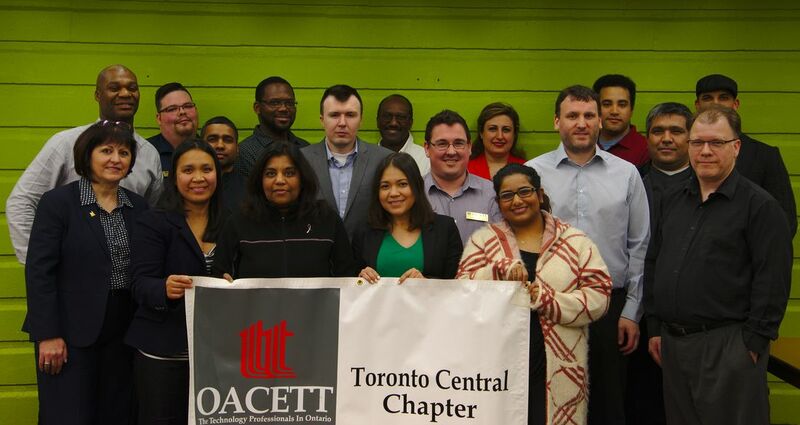 Reply to OACETT Toronto Central Chapter Vice Chair Justin Hutchins, C. Tech at justinhutchins@outlook.com with the following information prior to Tuesday, January 20th, 2015. 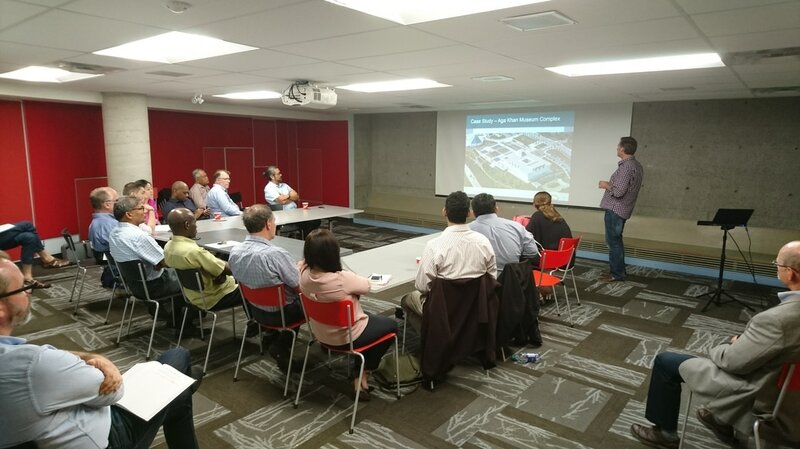 Members of OACETT were invited to attend a presentation on Building Information Modelling (BIM) for Municipal Engineering. 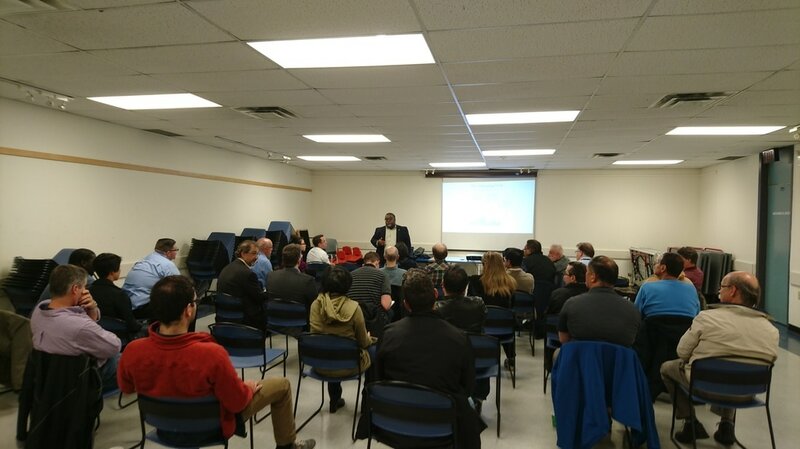 This presentation featured Kevin Lima, C.E.T., Senior Municipal Technologist at AECOM and Secretary of the OACETT Toronto Central Chapter. Mr. Lima is currently involved in the design and construction of municipal water/wastewater facilities with previous experience in the land development industry. This presentation focused on the evolution of engineering drawings from manual drafting through to 3D data rich BIM models along with the benefits of BIM. 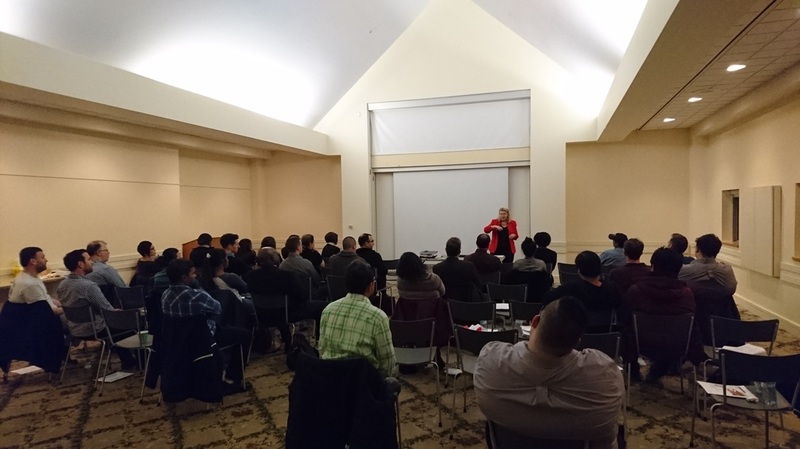 This event included a one-hour long presentation with a question and answer period followed by a networking opportunity. Thanks to all that attended. Toronto Central Chapter stepped into the world of movie magic with a tour of the TIFF Bell Lightbox this October. 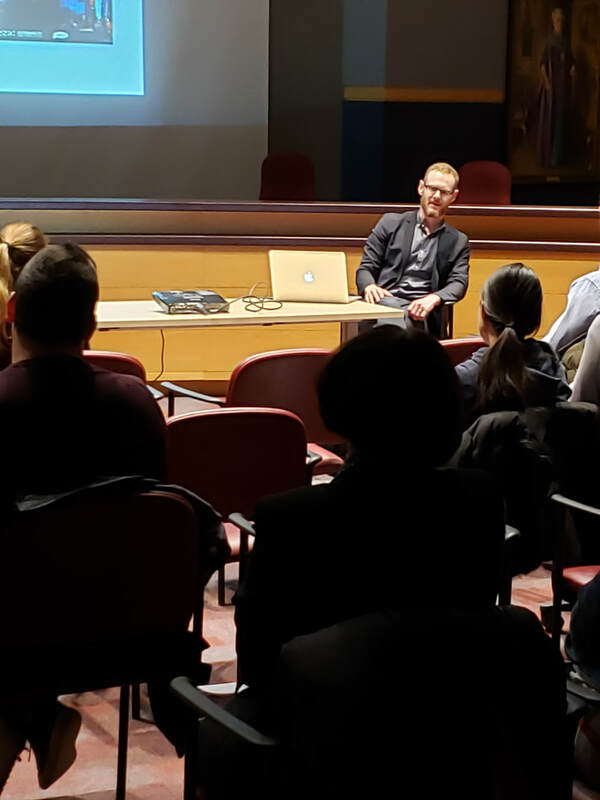 In an exclusive for OACETT members, a lead theatre technician provided an in depth information session and Q&A on the facilities’ sound dampening construction, theatre projection and digital film technology. Afterwards the group was taken on a guided tour of the Lightbox, exploring the architecture, history and functionality of this state-of-the-art building built for movie lovers. Air Force Reservists Corporal Arthur Pidgeon and OACETT Toronto Central Chapter Director Corporal Justin Hutchins, C. Tech., led a group of OACETT members and family on a fascinating tour of the 400 Squadron Helicopter maintenance facility at CFB Borden. The group was shown the inner workings of a CH-146 Canadian Forces helicopter and given a Q&A session which was followed by several informative videos on the role this helicopter plays in protecting Canadians home and abroad. Contact us if you have any ideas for a future event!